Communities supported include Echuca and Shepparton. 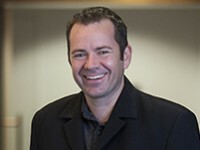 Wayne Dagger joined Jawun as Regional Director in May 2013. Wayne was born and raised in the Goulburn Murray region. He began his working career in the retail sector at Kmart Australia, where he remained for over 24 years. He has 15 years’ experience in various managerial roles with Kmart, which has allowed him to consolidate strong leadership and relationship-building skills. In more recent times, Wayne has participated in the Jawun employment pilot program in Shepparton and was a participant of the inaugural Emerging Leaders program in 2011, where he developed a strong interest in working with Indigenous communities. Wayne is married with four children; having lived in the Goulburn Murray area most of his life, he has been able to gain a great understanding of the region and its needs.